One Week in Southern Vietnam – A Complete Itinerary! If you’re not in love with Southern Vietnam yet, wait until you visit, and if you already are- keep reading. Only one week is enough to explore this diverse region of Vietnam, so book that ticket now. Vietnam has three main regions, including the North, Center, and South. Every region has a distinct beauty in landscape and culture. Southern Vietnam is the main topic of this article. There are many terrains in this area, from the dense forests, sweeping deltas, and vast oceans. You can spend a few days or a long time here. In this article, I will set up a one-week itinerary in southern Vietnam comprising the most outstanding places. Saigon is the biggest city in southern Vietnam. Modern highways and airlines begin in Saigon and stretch to other provinces. This makes it easy to explore and travel to these places. Therefore, your first day is in Saigon. Multiple forms of transportation such as motorbike, bus, train, and airplane are all available to reach Saigon. By Motorbike: You are an adventurous traveler and devoted to riding along the whole of Vietnam on a motorbike. It sounds cool! 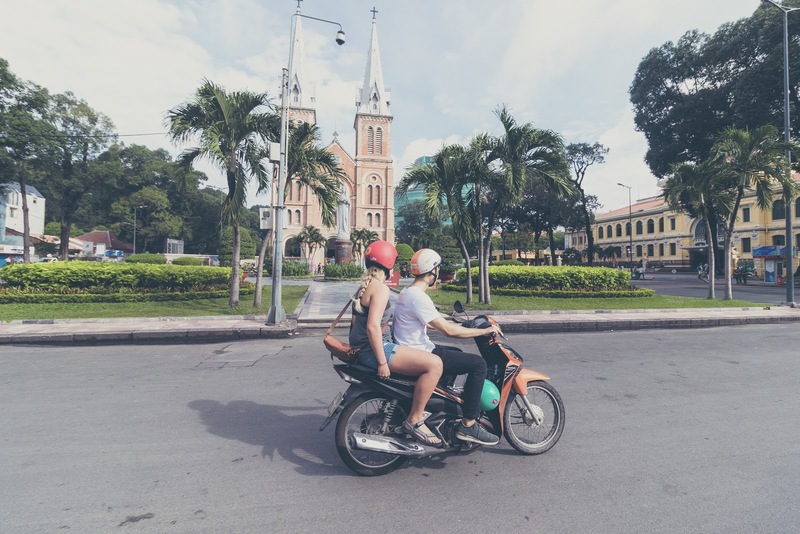 The price of renting or buying a motorbike is reasonable and many travelers have spent their journey in Vietnam on the back of a bike. 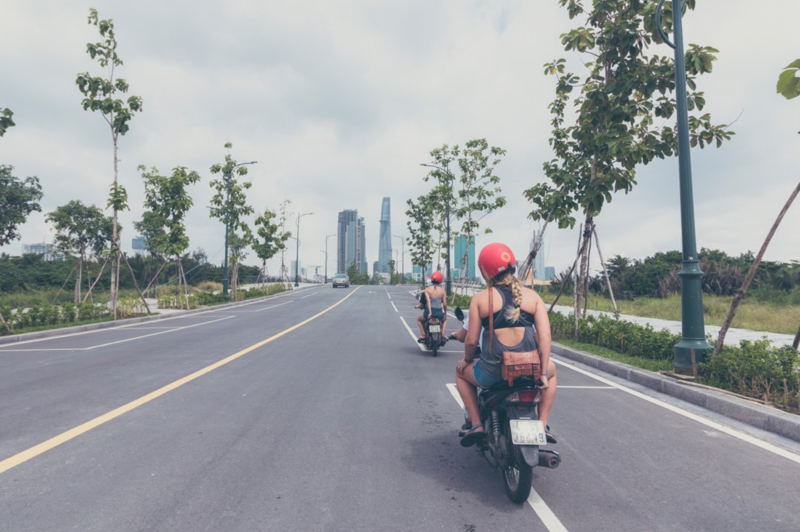 Read a comprehensive guide to buying and renting motorbikes in Saigon to start your trip. By Bus: There are two kinds of bus tickets in Vietnam. The first option is buses going from a specific city to another one. Futa Bus is the most famous of this type of bus. The second is an open bus ticket. Once you have it, you can buy a ticket to many cities, and stop at the bus stations located around these cities throughout Vietnam. Have a look at the website to know more about it. By Train: The train starts in northern Vietnam and ends in Saigon. There are many kinds of train from modern to normal, and different types of tickets from hard seat, soft seat, and bed. Go to the website to have a look. By Airplane: Tan Son Nhat, the airport of Saigon, has nearly a thousand international and domestic flights every day. 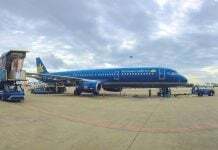 Vietnam Airlines, the national airline of Vietnam, has the best quality and service. Vietjet Air and Jetstar are cheap airlines which will be best for those who have a low budget. Getting around Saigon by motorbike is funnnn! 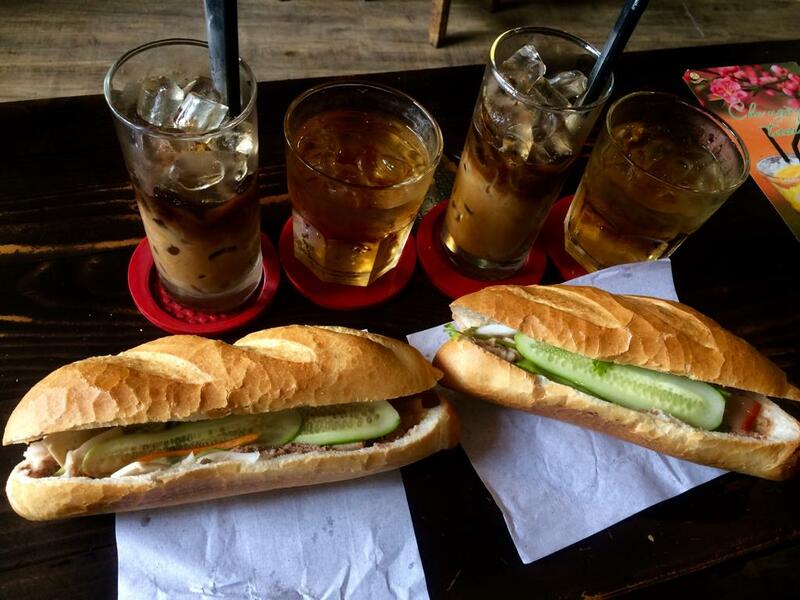 Start a new day in Saigon with a banh mi, the most famous fast food in Vietnam. Although I call it fast food due to its convenience, banh mi is a healthy food, with a balanced combination of pork, egg, pate, pork floss, cucumber, coriander, pickled carrot, and chili. Read this article to fully understand the flavors that make up banh mi and the best place to buy it. After your delicious breakfast, let’s visit famous tourist attractions in downtown Saigon. Independence Palace was the palace of the southern government during the Vietnam War. It was turned into a museum after 1975 and it’s a good place to understand more about southern Vietnam in the old days. Banh mi is a common breakfast in Saigon. Other tourist attractions are located around Independence Palace, so you can visit these places on foot. Notre Dame Cathedral was built in 1863, an impressive French architectural feat. It is currently still under renovation until the end of 2019. However, you can observe it from the outside and take nice photos of it. Next, the Central Post Office is another Western building where you can send letters and nice postcards of Vietnam to your family. Book Street is next to the Central Post Office, and it sells many kinds of books with beautiful decoration, and has delicate book coffee shops that act as a nice break after a long walk. This area is packed with things to do, so take your time, walk around, and grab a refreshing drink. Continue walking to explore other Western buildings such as the Opera House, City Hall, and Walking Street. Many coffee shops and restaurants are located in old apartments along the Walking Street. Have a look at them! 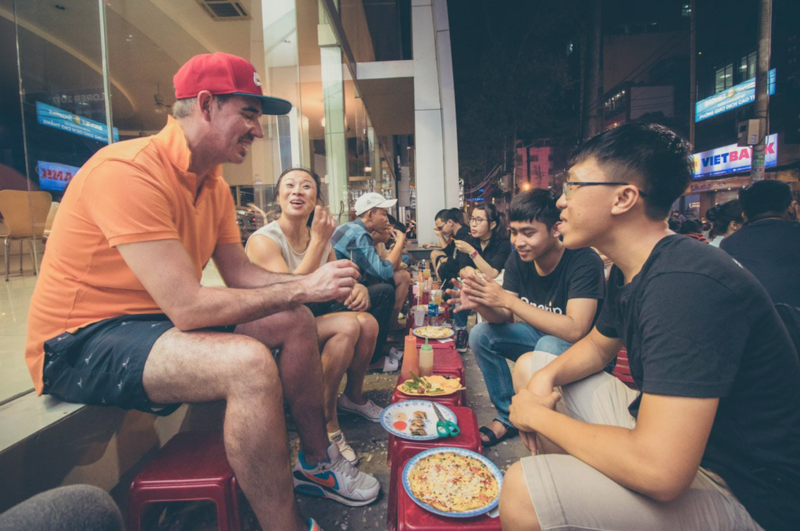 Then, make your way to Ben Thanh Market, the symbol of Saigon, to find the best souvenirs, eat delicious food, and interact with energetic sellers. In the afternoon, think about heading to the War Remnants Museum where you can find exhibits relating to the Vietnam War. Keep in mind that this museum may put you in a weird and dreary mood, so be sure to do something fun afterward. Then, take a taxi to China Town, also called Cho Lon in Vietnamese, to discover the ancient aspects of the city. 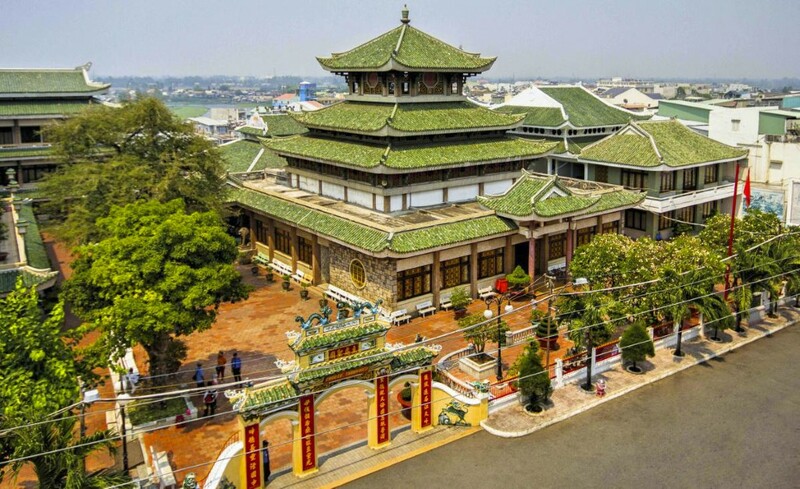 Visit Binh Tay Market, Thieu Hau Temple, Cha Tam Church, and walk around the streets that are named after just one product such as Hai Thuong Lan Ong street with traditional Chinese remedies. Read Chinatown in Saigon – 3 must eat dishes! and The unspoken rules of Cho Lon for more information about this place. Taking a tour with Onetrip, why not? If you want to explore the city with local people, book Student City Tour with Onetrip. It is a donation-based tour and the students, who are good at English, will show you around the city. You can ask them anything you want to know and stop anywhere you like because it is a private tour. At night, Ben Thanh night market is crowded with different kinds of colorful souvenirs. Ben Thanh Street Food Market is located right after the Ben Thanh market and it has local food, and food from other countries. Hundreds of tourists come here to relax at night in an open space. Before ending your day, have a massage to refresh your body after a long day exploring the city. The best massage spas in Saigon provides all the highly recommended spas you should try. Christina’s provides amazing accommodation with a focus on common space to encourage social connections for our guests. Our homes are beautifully designed, yet simple and functional, and conveniently located throughout Vietnam. In Saigon, we have different kinds of rooms with varying prices for you to choose from. Luxury apartments in a fancy condo, cozy rooms in Saigon downtown, beautifully designed studios in a hidden alley, and even more. Visit our website to find your favorite stay in Saigon. 60 kilometers away from Saigon, the Cu Chi Tunnels saw several military campaigns during the Vietnam War, located in Cu Chi district of Ho Chi Minh City. It has an immense network of connecting underground tunnels. You can see models of how soldiers lived and fought in these tunnels, traps, and weapons in the war, crawl inside long and narrow passages, and understand more about the Vietnam War. 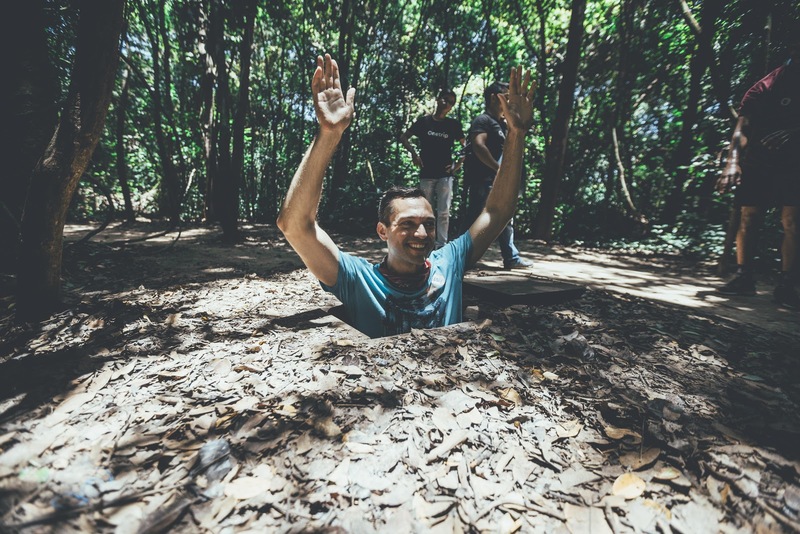 A complete guide to the Cu Chi Tunnels provides all the information about how to get there, what to do, and what to eat. Read this article and you can go there by yourself. If you want to spend your day with a local guide, book Cu Chi Adventure with Onetrip. Shared minivan, private car, or motorbike are transportation options. The guide will stop at other local places such as a coffee shop for breakfast, a local business making rice noodles, a natural rubber garden, and a local house for lunch. After exploring the Cu Chi Tunnels, go back to your stay, take a shower, and be ready for night exploration. Walk to food paradise in Co Giang street and enjoy an abundance of different foods. Grilled beef with betel leaf (bo la lot), grilled pork with noodles (bun thit nuong), duck noodle soup with bamboo shoot (bun mang vit), fermented fish and seafood noodle soup (bun mam) are famous foods of the southern Vietnamese. All the foods are sold along the street, so you can walk around and choose your favorite one. Close to Co Giang street, Bui Vien Walking Street, also called the backpacker area, is full of bars and restaurants with loud music. Both Vietnamese and tourists come here at night to enjoy their time with friends. Drinking culture in Saigon: nightlife and craft beers is a useful article for those who are fond of drinking and chilling out at bar. After two days in a busy city like Saigon, get to the Mekong Delta to explore tranquil villages, paddy fields, fruit gardens and an interlacing canal system. You will spend three days here to visit three of the most outstanding cities: Ben Tre, Can Tho, and Chau Doc. 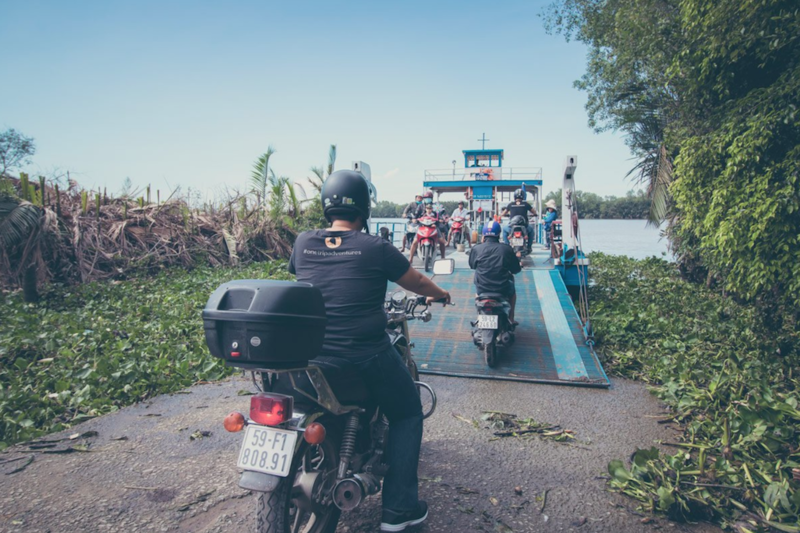 Transportation Guide: From Saigon to the Mekong Delta provides all the information about transportation not only from Saigon to the Mekong Delta, but also from the Mekong Delta to other provinces. Read this article and you can easily navigate this area. Ben Tre is famous for the biggest coconut plantation in Vietnam. Around 20 meters away from Rach Mieu bridge pier, there are many tourist agencies in An Khanh boat station. You can buy a tour to explore four islands because it’s really difficult to go by yourself and you can get lost. The tour price varies depending on the number of people on the tour, and you will go to four islands, including Dragon, Unicorn, Turtle, and Phoenix island, which are four holy animals of Vietnamese culture. Hop on board, learn about the coconut monk and his home in Phoenix island, then get to other islands to see how people make coconut candy, enjoy great honey tea, listen to southwestern Vietnamese music, and sail in small canals under sea coconut ranges. You can have a unique experience of local life after visiting this area. However, this area is a little touristy. If you want something more local, you can choose to visit another area. 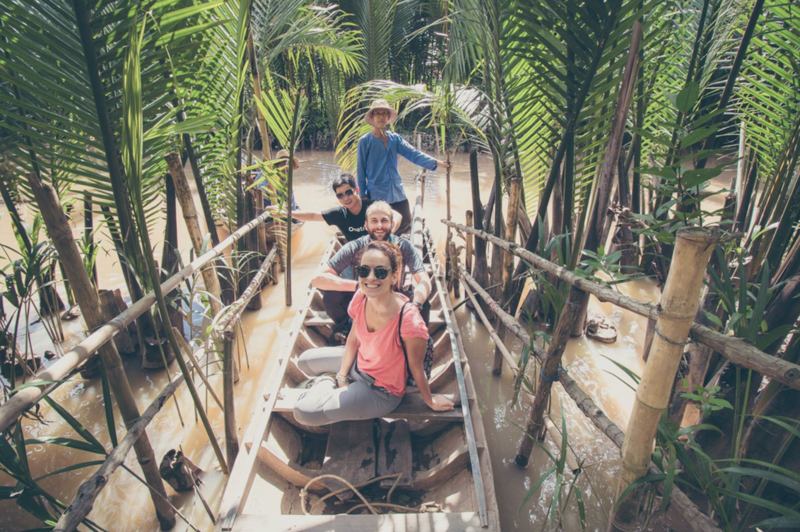 Onetrip offers The Mekong Delta Tour which explores places with more local people and not many tourists. You will visit a local brick factory to watch bricks being made in traditional methods, a straw mat weaving house, a coconut processing plant where you can also try yummy coco candies, have a local lunch, enjoy fresh coconuts and hammocks, and paddle your sampan through the palm tree-lined canal. The next city is Can Tho and the floating market is on your itinerary. However, the floating market opens in the early morning and closes soon after, so you need to get to Can Tho the night before. It is around 100 kilometers from Ben Tre to Can Tho and takes around two hours and 30 minutes. Luxury hotels, guest houses, and homestays are all available, with varying prices depending on your budget. The list below includes the best accommodations in Can Tho. After having a break at your stay, Can Tho night market and Ninh Kieu Wharf are pleasantly crowded with many activities. Eat local food, buy some souvenirs, walk around Ninh Kieu Wharf, and take nice photos. Wake up early in the morning around 6 AM, get to Ninh Kieu Wharf, and take a boat to Cai Rang floating market. It takes around 30 minutes from the wharf to the market by boat. 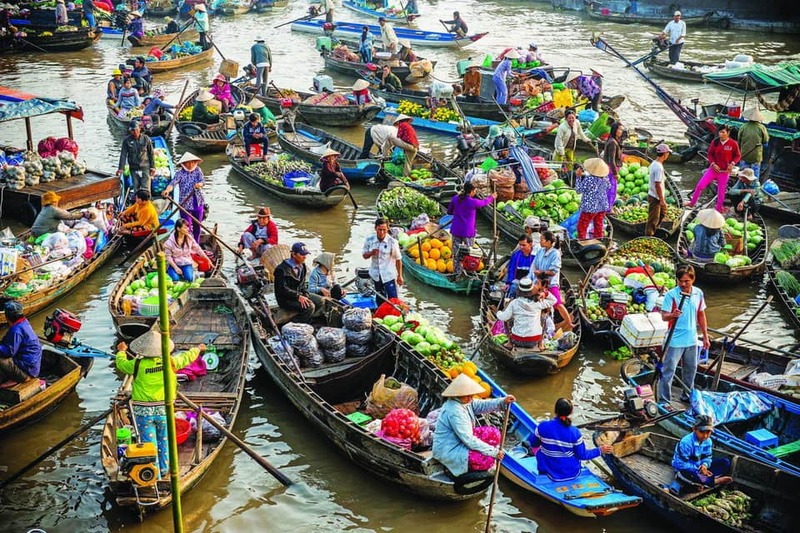 In the middle of the river, a big market appears, many big boats and small sampans carry local products such as vegetables, fruits, food and drink. They sail around the market, and the sellers are busy interacting with the buyers. Let’s have a breakfast on the boat, buy noodle soups and coconut juice from a local seller, and enjoy your meal in this open atmosphere. It is truly amazing! Read our guide to visiting Cai Rang Floating Market in the Mekong Delta for more detailed information. Next, continue sailing on the boat to My Khanh Tourist Village to visit a fruit garden. Many kinds of tropical fruits such as longan, rambutan, dragon fruit, mangosteen, and durian are available. You can take them from the trees and eat them all! Only 500 meters from My Khanh Tourist Village, Truc Lam Phuong Nam is the biggest pagoda in the Mekong Delta. Let’s visit it before leaving. In the afternoon, visit Binh Thuy ancient house which is considered to be the most beautiful ancient house in the Mekong Delta, with the combination of Asian and Western architecture. At night, have a big dinner at Lau Mam Da Ly on 89 Ba Thang Hai street, Hung Loi ward, Ninh Kieu district. Lau mam is fermented fish and seafood hotpot, a traditional food of the Mekong Delta. In the morning, get on a bus from Can Tho to Chau Doc city. It takes around three hours to get there. Then, take another bus to Tinh Bien district to visit Tra Su Mangrove Forest. Cruise along the forest and go deep into the flooded trees, see the beautiful landscape of mangrove trees, and the life of water birds. After that, get back to Sam mountain in Chau Doc city. Visit Ba Chua Xu pagoda and Thoai Ngoc Hau temple to learn more about local culture. Then, get to the top of Sam mountain, which is only six kilometers from the city, and see the sunset there. Next, walk around Chau Doc market to see local foods and find your favorite dish. Read An Giang: All about the land of seven mountains if you want to understand more about this area. At night, find a cozy stay in Chau Doc. I highly recommend the three accommodations below, with a varying price for your choosing. Get up early in the morning and get to Chau Doc bus station before 5:30 AM. You will get on Ut Cuong Bus from Chau Doc to Ha Tien. It is 90 kilometers away, takes more than two hours, and costs around 55,000 VND. Then, buy a Superdong boat ticket at Ha Tien harbor to go to Phu Quoc island which takes around one hour and 15 minutes and costs 230,000 VND. After arriving in Phu Quoc, get to Suoi Tranh to have a look at a beautiful stream, swim in the cool water, and enjoy the natural landscape there. Next, visit Ganh Dau Cape to take nice photos of the blue ocean and mountains. Then, swim, sunbathe and play water sports such as kayaking, kitesurfing, jet skiing in Bai Dai, a famous beach in Phu Quoc. After that, visit the ancient temple on Dinh Cau Cape. At night, Dinh Cau night market is crowded with different kinds of fresh seafood, which will make your stomach full. You’re not done yet! Late at night, get on a boat to go squid fishing by using lights with local fisherman, and enjoy your squids right there. Phu Quoc is famous for the paradise of luxury resorts, cozy homestays, and beautiful hostels. Read top accommodations in Phu Quoc for all budgets to find your favorite stay. Start your day by visiting Ham Ninh fishing village to understand the life of local fisherman and take nice photos in the early morning. Then, swim, scuba dive and snorkel in Bai Sao. 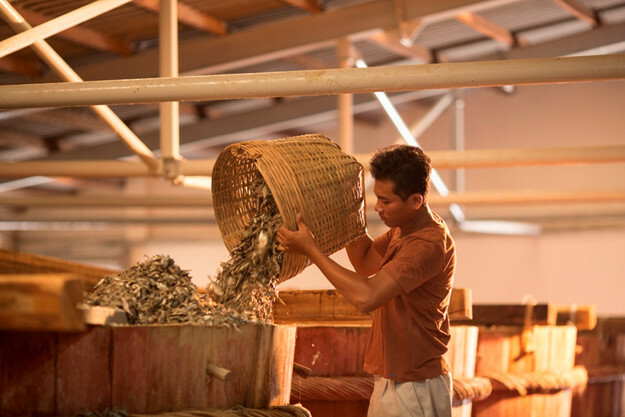 Next, visit a fish sauce factory to learn how the best fish sauce in Vietnam is made. Coconut Prison in Phu Quoc, the biggest jail of Vietnam Public, is another interesting place if you are interested in history and the Vietnam War. 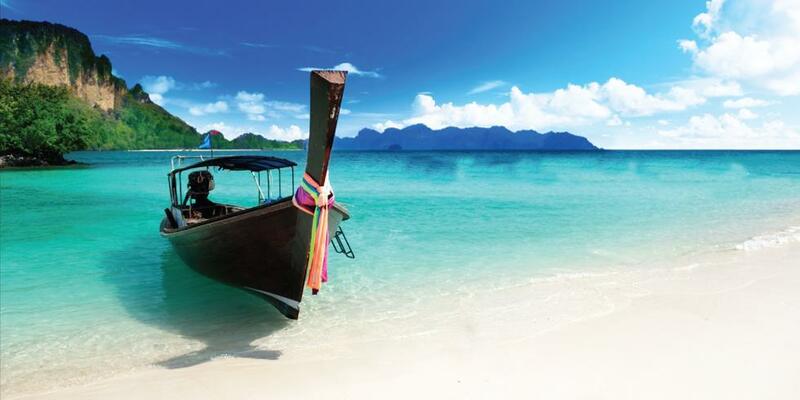 Read top 10 reasons to visit Phu Quoc if you want to know more about this area. Your week in southern Vietnam ends here. I hope that this itinerary guides you to the most wonderful experiences. Don’t wait anymore and get ready for your journey in southern Vietnam.